These new ports from Nexus are for housings with the M6 port size. 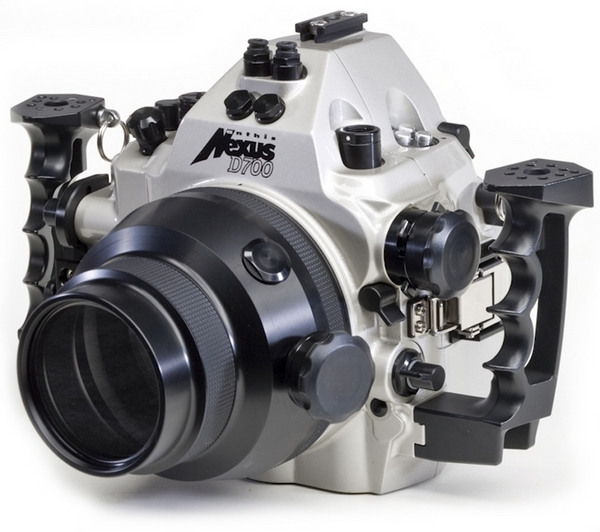 You can read about the different Nexus port sizes on our Nexus underwater housing page. 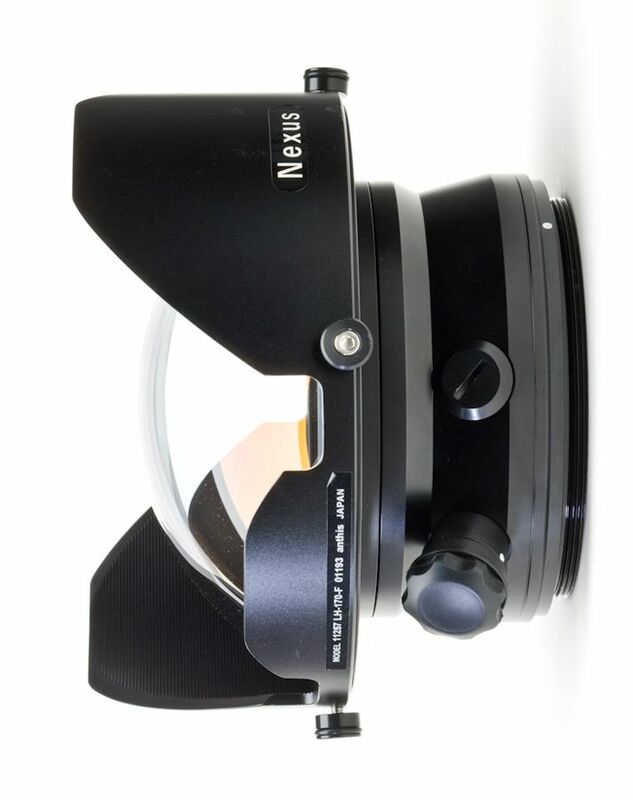 Nexus has released a new glass dome port for use with the Nikon 14-24mm lens. 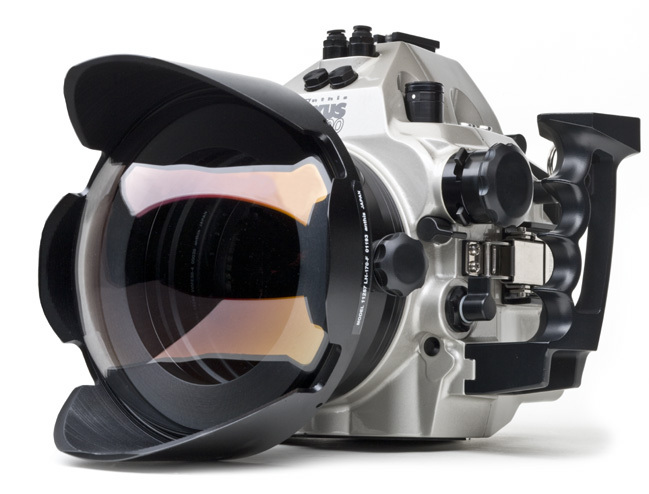 The 14-24 dome with the 60mm extension has manual focus control, and the Zoom is operated from the control on the housing. 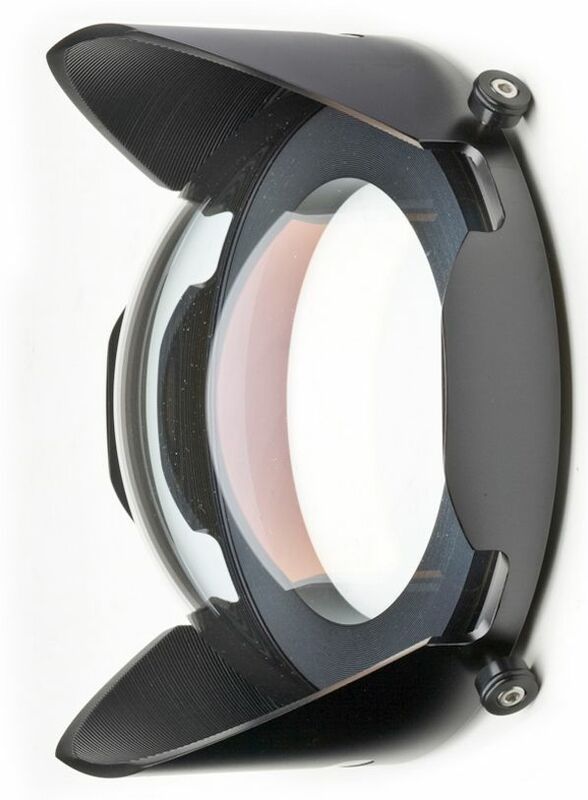 The Super multi coated glass dome set for the Nikon 14-24 lens makes the housing perfectly balanced underwater. Here the Nexus 14-24 port on the D700 housing. Nexus has two other glass dome ports on the market already. The 10/15 dome fits the Nikon 10.5 fisheye and the canon 15mm fisheye lenses. The small optically coated glass dome with it's built in shade also keeps the housing perfectly balanced. Further down below there is a photo of the port on the Nexus Canon 5DMKII housing. 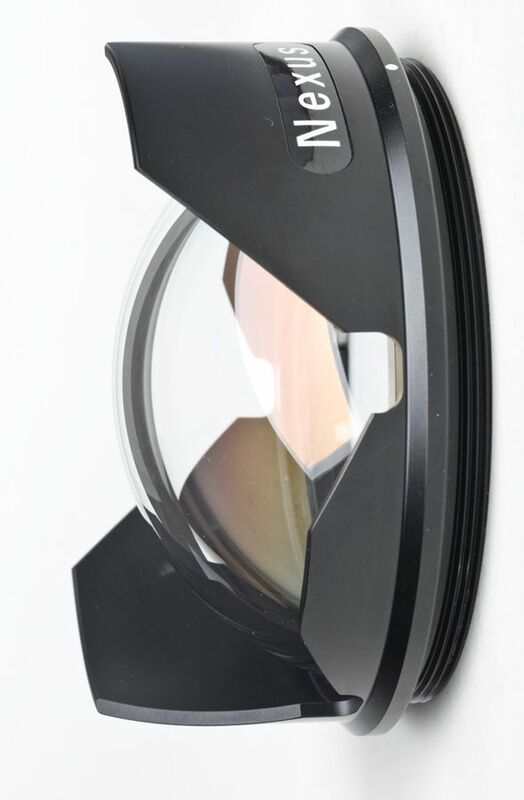 The standard 170G dome is the standard optically coated glass dome that will support many different lenses. The weight of the glass dome will help balance the housing depending on the type of lens used. 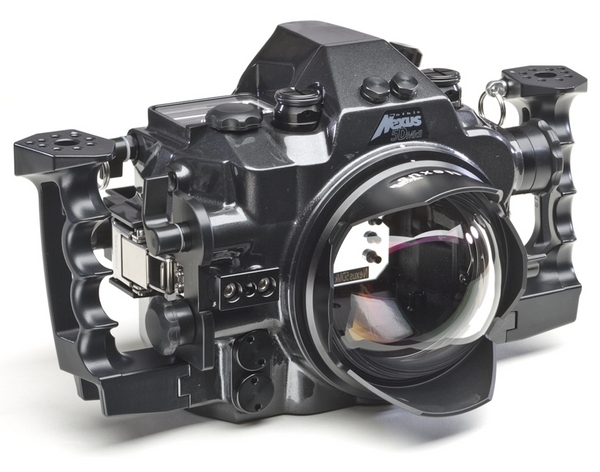 The new macro port for the 105VR Nikon lens has the manual focus on the lens port. The port is designed to give the housing better balance and with it's smaller front glass it is easier to get the lens and strobe into small areas for better lighting. 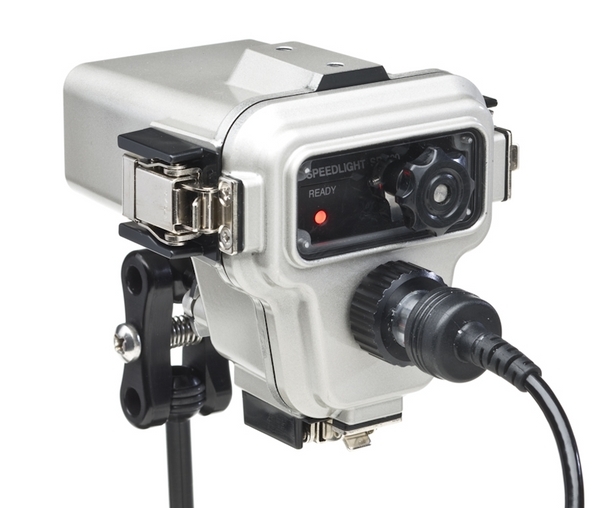 Nexus also makes a housing for the Nikon SB400 flash unit. 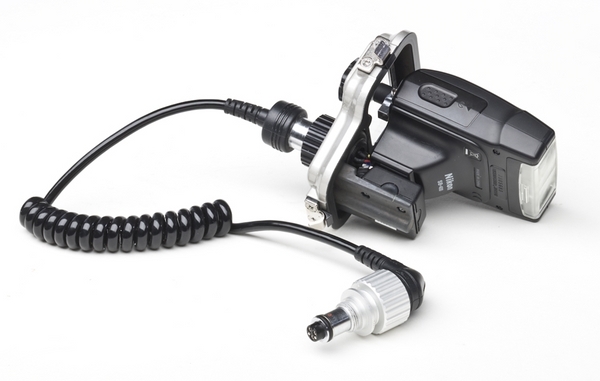 Full TTL with the sync cord is possible and it is a very small package. This shows the unique mounting capability for the SB 400 on the Nexus D700. 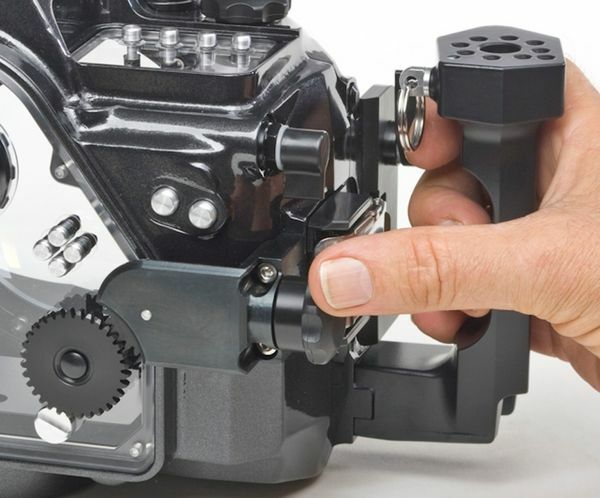 The 5DMK2 has been up dated with an external dial control for comfortable operation with the thumb. In this photo of the Nexus 5DMKII housing, you can see the small size of the Nexus small dome for the 15mm fisheye lens. Submitted by Anonymous on Tue, 2010-08-10 23:49.
really good to see some of the results from this set up.